Waterside Open 2016: CG Director Kwong Lee joins the selection panel. 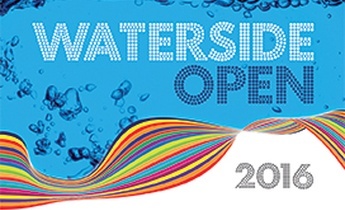 Waterside Open 2016 will showcase a wide range of high quality and contemporary art, craft and design from established and emerging artists, designers and makers from the North West and across the UK. Work can be submitted in any medium except live art. This includes 2D and 3D visual arts, textiles, crafts, furniture, photography, print, installation, sculpture and digital media. Stella works predominately with plastics creating bespoke site-specific artworks and installations to enhance public environments. Lucentia Design offers services in a mix of mediums, designing and managing projects across the corporate, leisure, retail and healthcare sectors. Jane makes contemporary statement jewellery using resin and precious metals and utilising textile techniques. She combines traditional methods and craftsmanship with new technology and material sciences. See her work here. Castlefield Gallery has built up its national profile as a curated gallery space and artist development agency over the past 30 years. In December 2012 they launched their CG Associates membership scheme for artists and independent curators and writers. A variety of prizes will be awarded and prize-winners will be announced at a special preview event on Friday 1 April at Waterside Arts Centre. Visitors to the exhibition will also have a chance to vote for their favourite piece of artwork in the Visitors Choice Award.